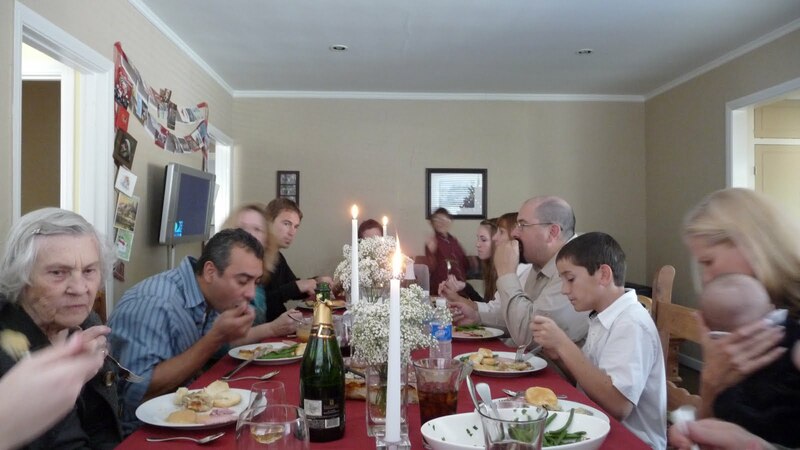 This year, we had our families over to our house for Christmas for the first time. We were having 15 people in our teeny tiny house for a big celebration. I was a bit stressed leading up to the big day (and on the big day, for that matter), but it turned out wonderfully. 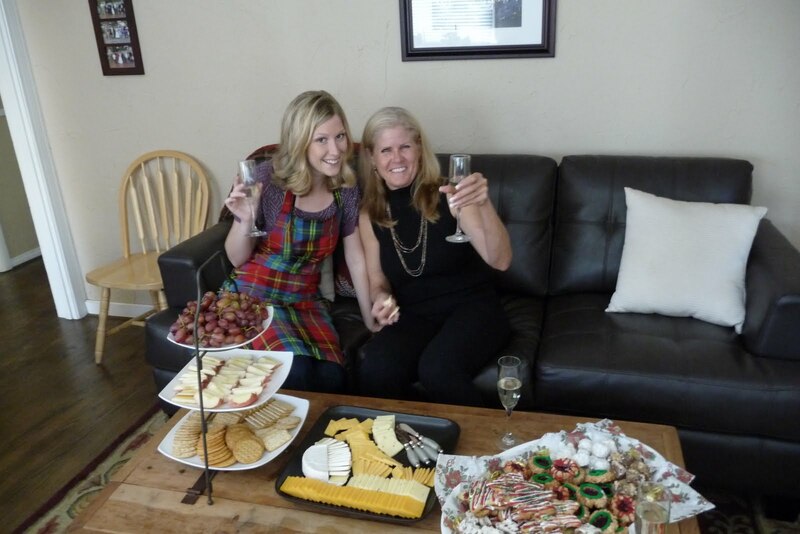 My mother-in-law, Ann, and I enjoying some Almond Champagne before the rest of the family arrived. Like my apron? I got it on Christmas Eve for half off! It isn’t even really Christmassy, so I can use it year-round. For appetizers, we just had cheese and crackers with fruit and Christmas cookies. This is Mike’s aunt Janet and cousin Elizabeth. 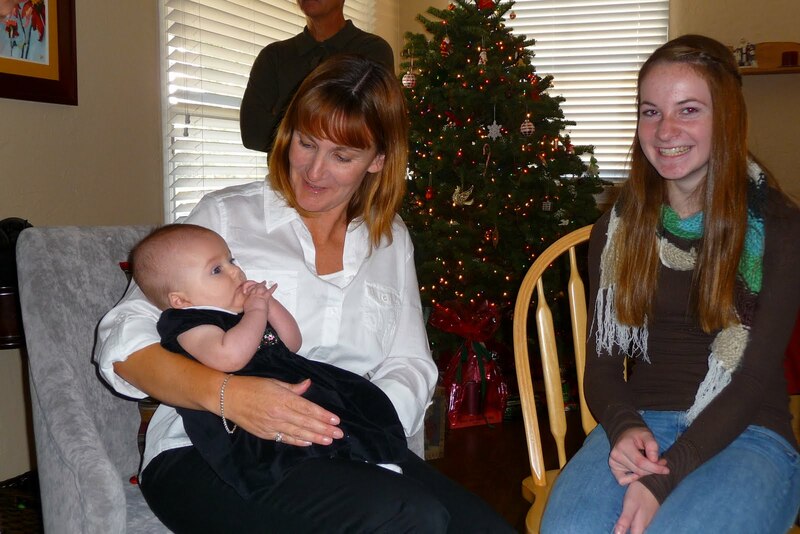 Janet is holding our precious niece, Ava, who we just adore! She is such a sweet and mellow baby. 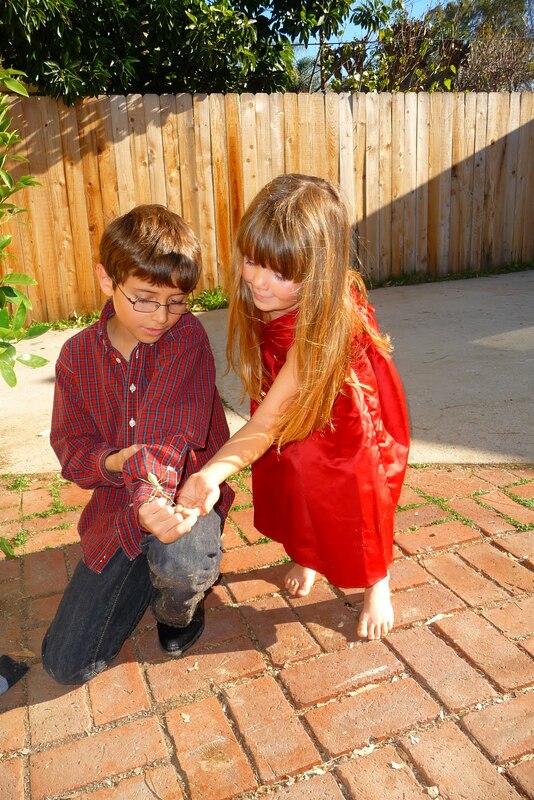 My little brother, Mateo, and Ava’s big sister, Gwen, played with a praying mantis outside for hours. They wanted to put it in a plastic container, but I felt bad for the little guy, so I made them set it free. Everyone eating! I love that we were able to have everyone sit together at one long table. It really felt like a traditional Christmas, with both our families and traditions coming together. We are working on creating some new traditions of our own. 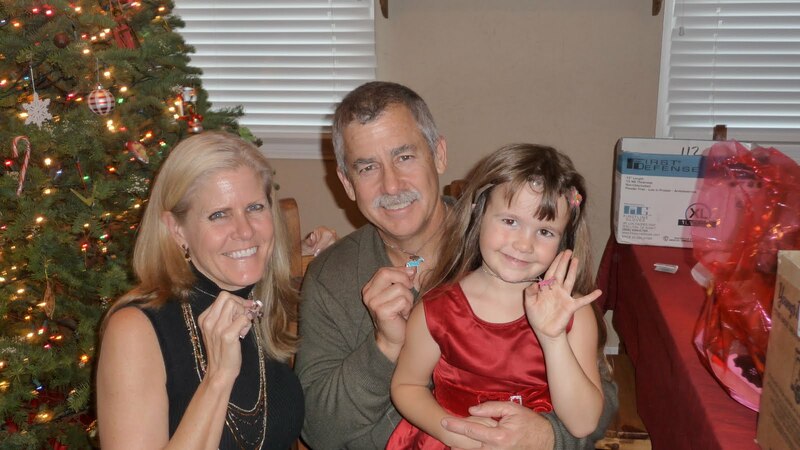 Gwen got some friendship necklaces for Christmas that she could give to anyone she wanted. She chose grandma and grandpa, how adorable is that? Here they are showing off their new necklaces! Christmas Day really felt like three days. We had so many celebrations with different groups of people and it was full of family and fun. Up next, Christmas evening.